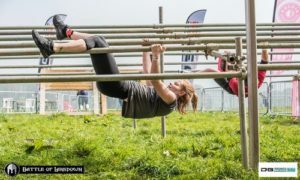 DB Max are looking forward to welcoming you to the inaugural Mud Nation OCR at Charlton Park in Wiltshire. 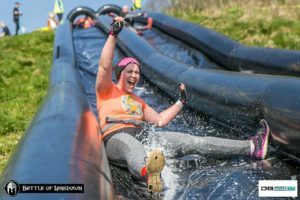 The venue is a well known location in the OCR world and with DB Max OCR Events on board, high quality Obstacle Course Racing is guaranteed! The event will include fantastic obstacle course racing, stunning woodland trails and the odd pond crossing or two. And maybe a little slide into water..! Add all this to the event organising experience of DB Max and you are guaranteed an amazing OCR experience. What do you get at a DB Max OCR Event? Mud, mud and more mud..! Unparalleled event organisation and experience. Chip timing and live #dbmaxscores. Small waves to avoid queuing at obstacles. The awesome DB Max OCR Events finishers’ medal. An event suitable for both the first-timer and the seasoned OCR competitor. On-site catering with hot food and drinks. Free race photographs for all competitors. Optional iTaB for your medal (see below). Waves are then every 20 minutes with a maximum of 100 per wave. We are offering a minimum 10% discount for team/club entries when more than 5 people enter. So get your friends, family, team mates, work colleagues or club members together and take advantage of our awesome special offers, Simply email us HERE. Directions – If using a Sat Nav please use the postcode SN16 9DG and when near the site follow the Car Park signs. The venue will have allocated parking at £5 per car. You will be directed in to the venue from the main road through the main gates. Please drive with consideration to other users. For details of local accommodation, please click here. Registration is from 8:15am and will close 30 minutes before the final wave start. Briefings will take place ten minutes prior to race start at the start line. The DB Max event team look forward to welcoming you to Charlton Park for Mud Nation on Race Day. If you have any questions or queries regarding the Mud Nation, then please do not hesitate to contact DB Max on 01225 632 103 or enquiries@dbmax.co.uk.